Get your students up and moving! 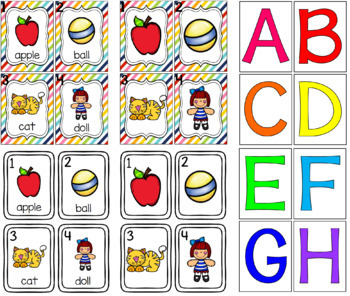 If you would like, you can laminate the numbered cards with the pictures. 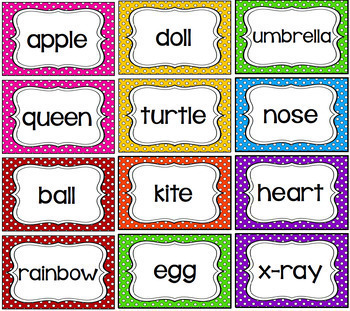 Then, just tape them around the room in fun places for the students to hunt for. I put the recording sheet that was numbered in a smart pal. If you don't have these, a cheap and cute option would be to put them in a clear page protector and decorate the edges with colorful masking tape. 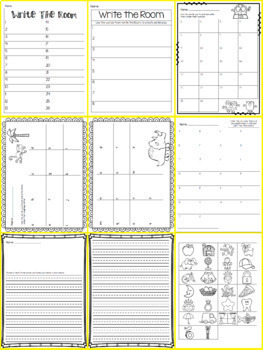 OR, you can just print the recording sheets and have students fill them out. They can always be shrunk and printed to half a page and there is still plenty of room to write on them, as well. 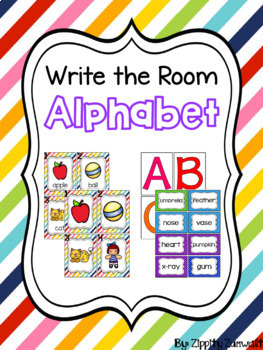 7 Write the Room recording sheets: two numbered 1-26 (one whole page and one front/back), one sorting the alphabet words with their first letter, one sorting by their number card, one where students choose 8 words and create a sentence, one free write, and one cut and paste. Check out my store for LOTS of write the rooms!